As Kamloops Movers we’re used to moving families with dogs or other pets. But, sometimes we forget that our furry four legged friends don’t deal with change as well as we do. Before you begin your move it’s important to scope out the new neighborhood and look for dog friendly parks, beaches, or even a nice path for walks. 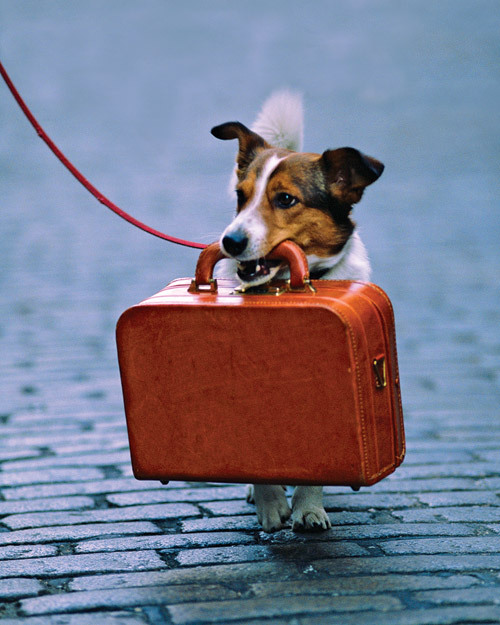 Aside from scoping out the neighborhood there are some common tips for moving with dogs. We put this list together to help make your move run as smooth as possible. Moving can be stressful on our little furry friends. It’s best to find a safe and quiet space for you dog to wait until the commotion is over. If it’s hot make sure they have water and if it’s cold, perhaps the garage or an empty room would work best. Your dog will appreciate the move a lot more if it makes the transition with his family. Bring the dog along in the vehicle when driving to your new home and make sure it has some toys or a blanket for comfort. Upon arriving at the new house it’s recommended to have a space planned out for the dog where it can rest and adjust to the change. Chances are you will be busy unpacking and sorting through the boxes to find what goes where. This will allow your dog some free time to wander the new home at its own free will while having the comfort of having a designated space with his favorite toy or blanket. Along with your dog’s favorite toy or blanket portion a few meals and the dog’s dish in case you can’t locate the dog food while unpacking. This just makes feeding time a little less stressful for the pet and the pet owner as most people choose to eat out or order delivery when settling into a new home. Try to keep feeding time the same as usual and that goes for daily exercise too. If your pet is used to getting walked at 8am and at 5pm make sure they still get those as the routine will help them make the adjustment. If you’re planning on moving with your dog in the near future be sure to treat your dog to a nice bone and contact your Kamloops Movers today to make your move as smooth as possible. If you would like to see other packing tips please see our Moving Tips page or stop by today. We would love to be a positive part of your moving experience.